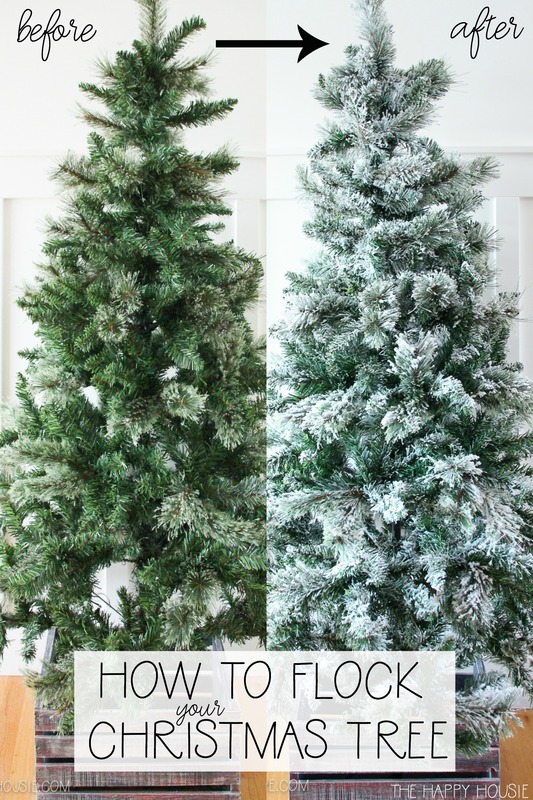 Today I’m sharing how I gave an inexpensive fake Christmas tree a totally new look with Sno Flock Powder; learn how to flock a Christmas Tree. You know those projects that you put off because you just aren’t quite sure how it’s going to go? Like, it looks easy and all but for some reason you’re aren’t confident that it’s going to work out that perfectly when you try it? Well this was definitely one of the projects. But this year I decided it was time. And if it was a fail, then who cares, right? And guess what?! It was WAY easier and quicker and SO MUCH BETTER then I could have possibly hoped! Today is the first of the Seasonal Simplicity Christmas Series hops! 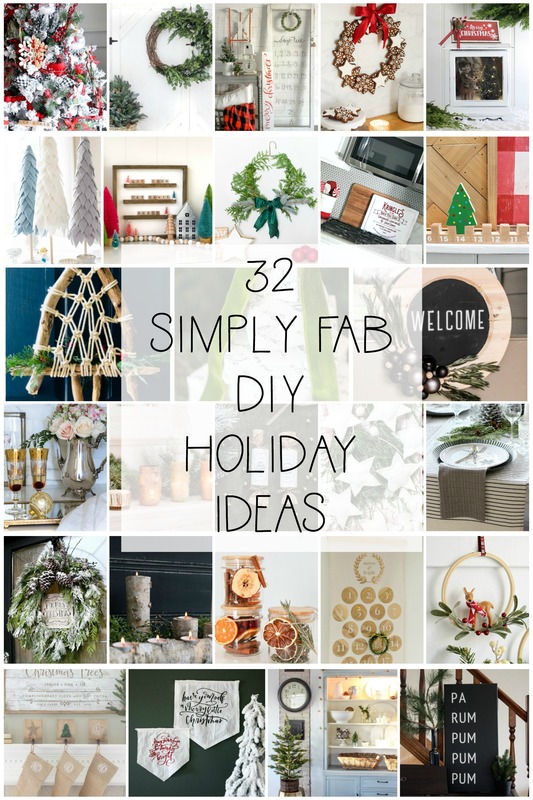 I can hardly believe that we are already in November that sharing holiday projects. But I just know that you are going to love what my friends have come up with to share with you today….check it out at the bottom of this post! 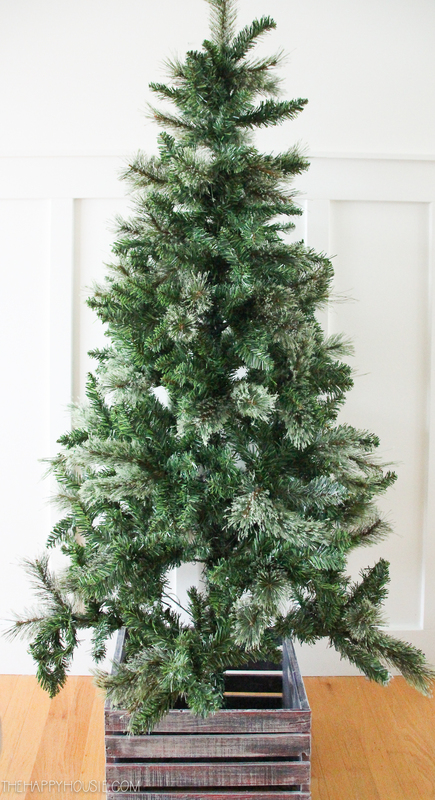 We’ve had this store bought flocked Christmas tree for a couple of years now. 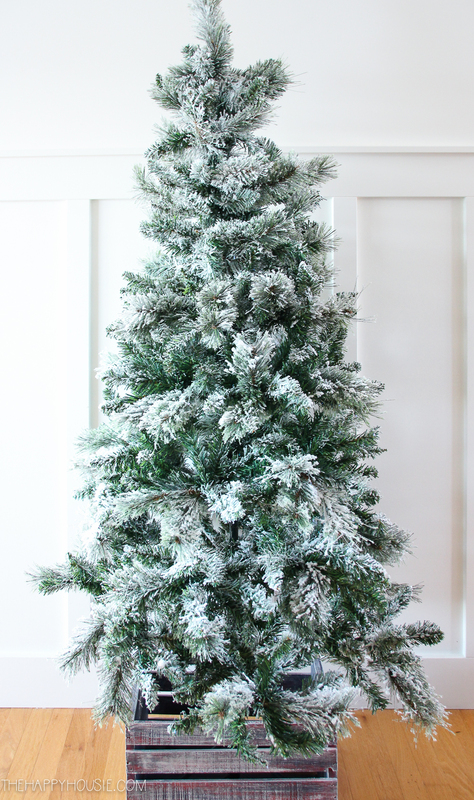 I love decorating it each Christmas season, and it has always made me wish that more of our trees had a flocked effect. 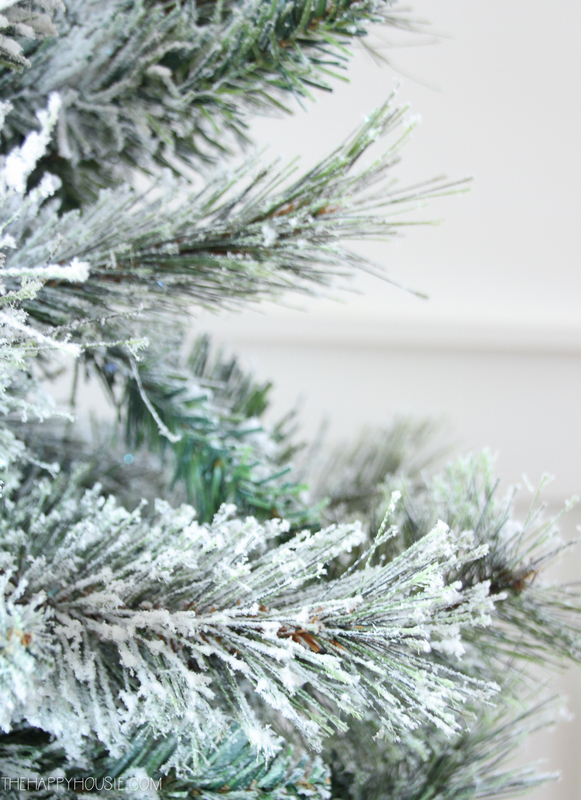 I just love the light feel of the “snow covered” flocked branches…. So… this little guy was on a fabulous sale last holiday season, and because it was such a great price I figured it was the perfect piece to experiment on with my flocking powder. I mean, he was pretty scraggly and sad looking, so why not give it a go? 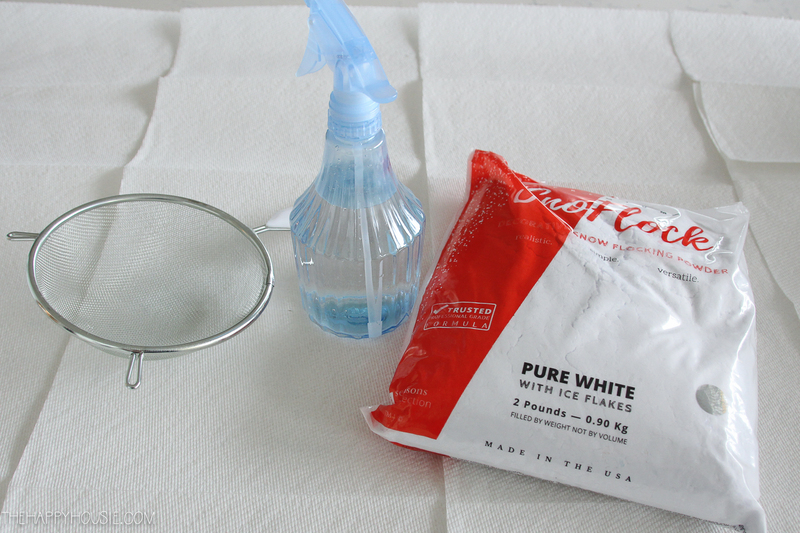 All you need for this project is a water spray bottle, a sieve, and this Sno Flock Powder. I used about half a bag for this smallish tree, but I went fairly light. If I had wanted to flock it more heavily, I probably would have used the whole bag for a smaller sized tree (it’s about a six footer). I fluffed the branches first, after the tree came out of his hiding box. Then I separated the tree into the three sections it came in. I flocked the top section inside the house, so that I could take some better pics for you, and then flocked the bottom two sections out in the garage. Finally, I put it all together in the stand in order to dry and left it out in the garage for a couple of days. 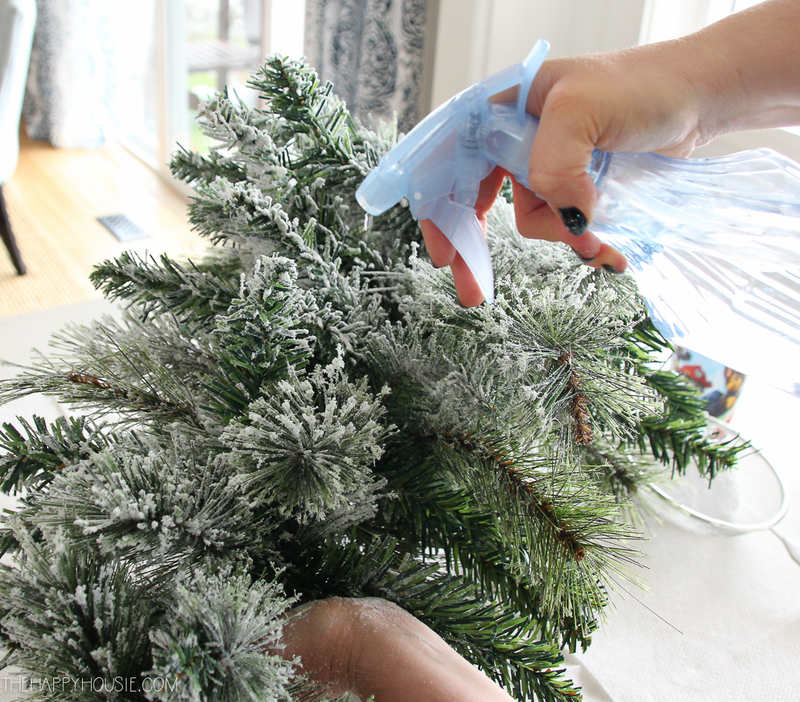 Start by thoroughly spraying down your branches with the water bottle (working in sections, and turning the tree as you go). 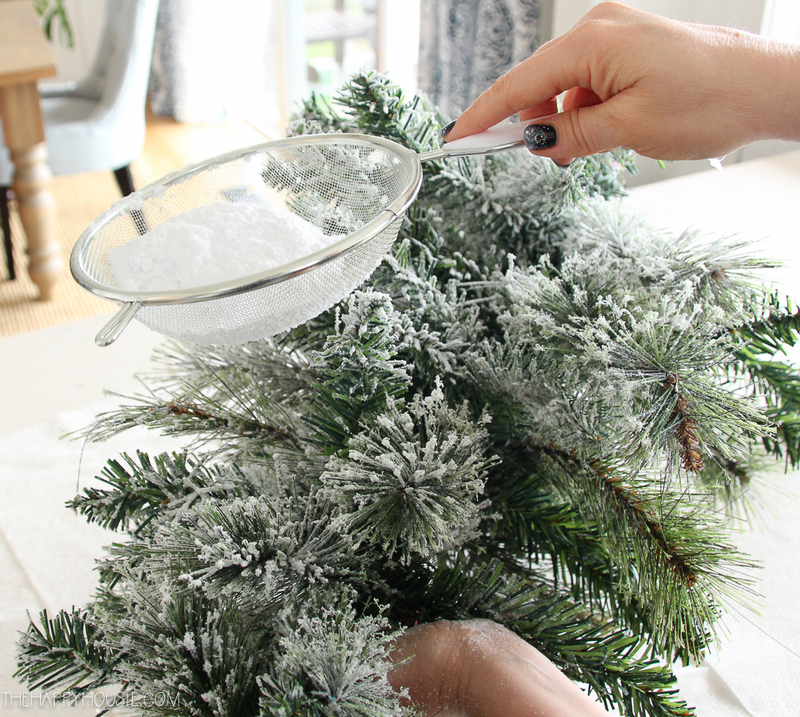 Then sprinkle the flocking powder over the tree, as heavily as you wish, knowing you can always add more later. You sprinkle it over the tree using the sieve. Go back right after the sieve sprinkling and spray it all down with the water bottle again. It is this final spray down that actually activates the Sno Flock and gets it working. Once it dries, it’s amazing how well adhered it is! (In fact, as I decorated it this evening it was way less messy then my store bought flocked tree is!). I love the airy dusting of snow over the whole tree, with some thicker sections throughout. Such a light and pretty effect! You should definitely try your own! I think I’ll be flocking some wreaths, soon, too… and maybe even more. 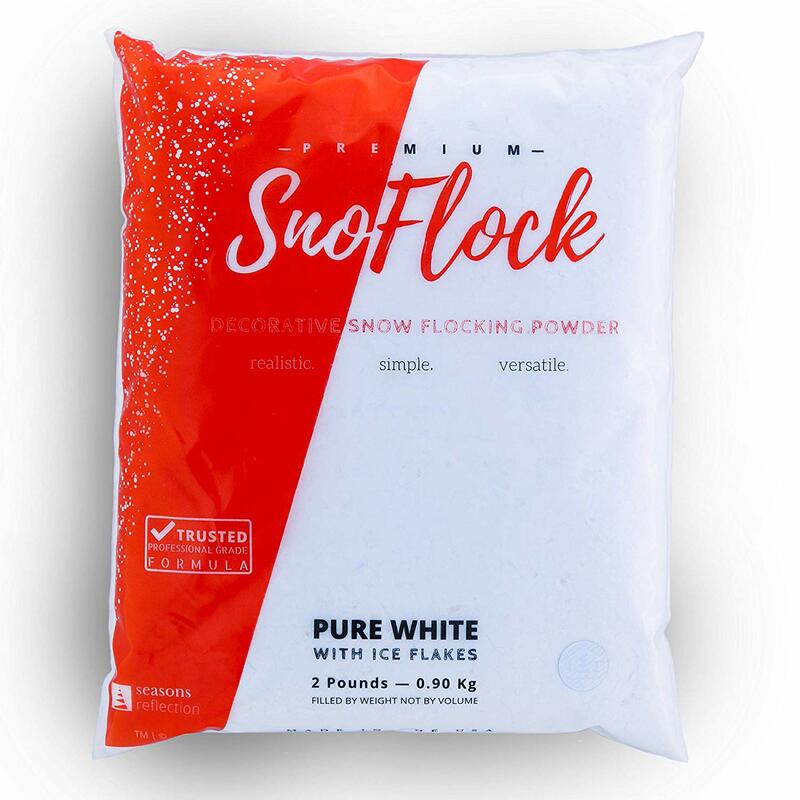 I’m ready to order some more Sno Flock to carry me through the rest of the holiday season. If you give it a try, I’d love to hear how it comes out! I’ll be back soon to share a few pics of this cute little newly-flocked tree all dressed for the holidays. As I mentioned, today is the first of the Seasonal Simplicity Christmas Series hops! You’re going to love what my friends have come up with to share with you today…. 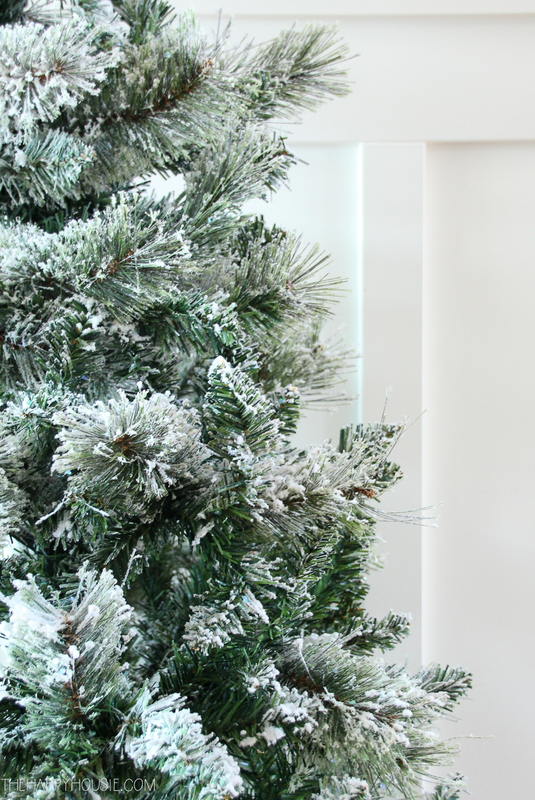 Want to remember all of this awesome holiday inspiration? 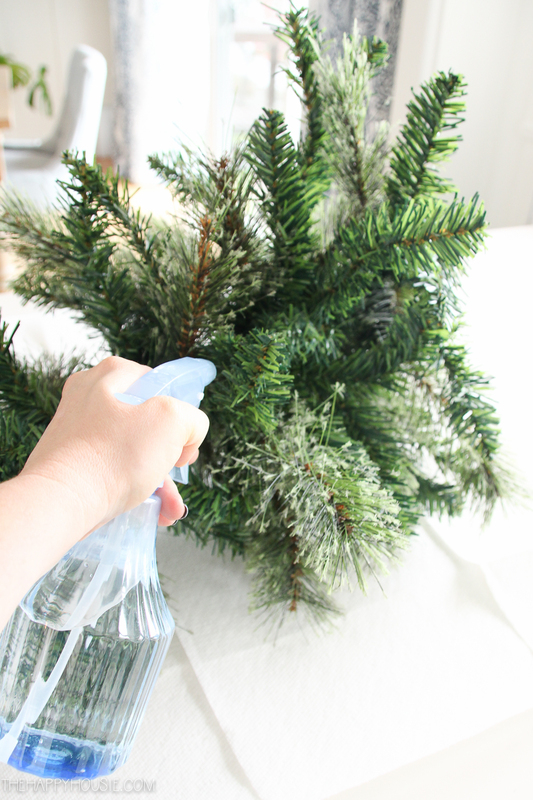 The new look of your Christmas tree is magical and it looks easy to do, thank you for sharing this great tip! What a great how-to! Your tree came out fabulous! Sharing! Thank you for sharing on Merry Monday! We hope you will join us again next week! Looks awesome! 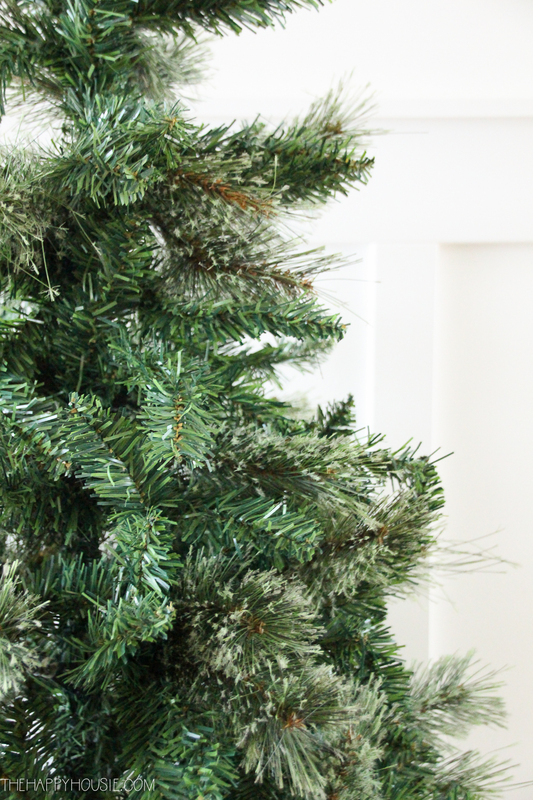 Have you ever done a pre lit tree? Makes me nervous with the lights. So amazing! We have a flocked tree but lots of bits come off. Do you find that with this kind? Krista your tree looks amazing. I love how the flocking turned out. Great tutorial too, you made me want to flock to all my trees too. And thanks so, so much for hosting this wonderful series. Wow Krista! What an incredible difference it makes! I LOVE the results. This really makes me want to do my own! I’ve so happy you shared this! I’ve had a sad little tree packed away every year with the thoughts of trying this but wasn’t sure if it would really turn out. Thanks for the encouragement. 🙂 The tree looks fantastic! I love how your tree came out! I did this one year too, and I was so happy with the results. I still have my huge bag stored away for a future tree! Thanks so much for this wonderful blog hop! What a difference the flocking makes, I never knew it was that easy!! What a great project! 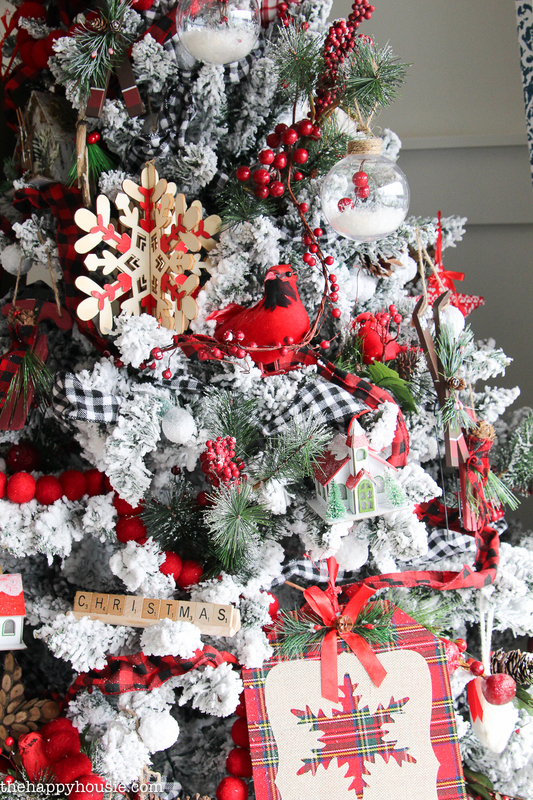 I need to add more flocking to my tree – pinned for later! I love the look of flocking! 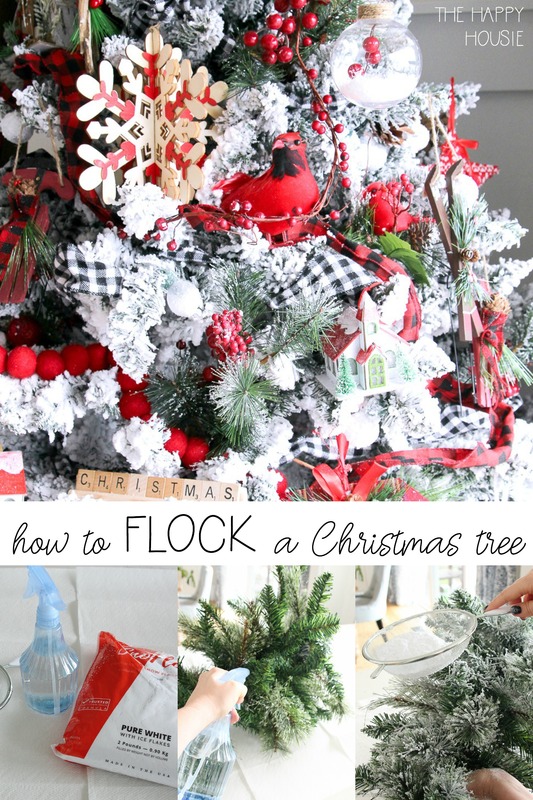 I did it last year and couldn’t stop – flocked everything in sight! lol! Love your tree and especially the box it’s in. Krista the after is amazing! Who knew it could get even better with the flocking?! You’re making me want to flock all my trees. Pinned. This is so pretty, I love how it turned out! thank you for the amazing party!!! Wow! I love it. Such a great idea! And thanks for letting me join in on your hop. I am having such a fun time and there are so many beautiful projects! The flocked tree version is so much better. Turned out beautifully! I’ve done this in the past…it makes an amazing difference! Thanks for hosting, pinning away this morning!